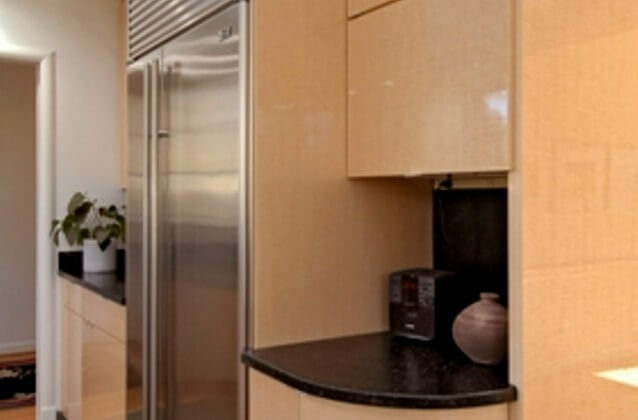 This sleek contemporary custom kitchen was artistically designed by Absolute Kitchens of Vienna, Virginia; while the cabinetry was custom made by Superior Woodcraft. 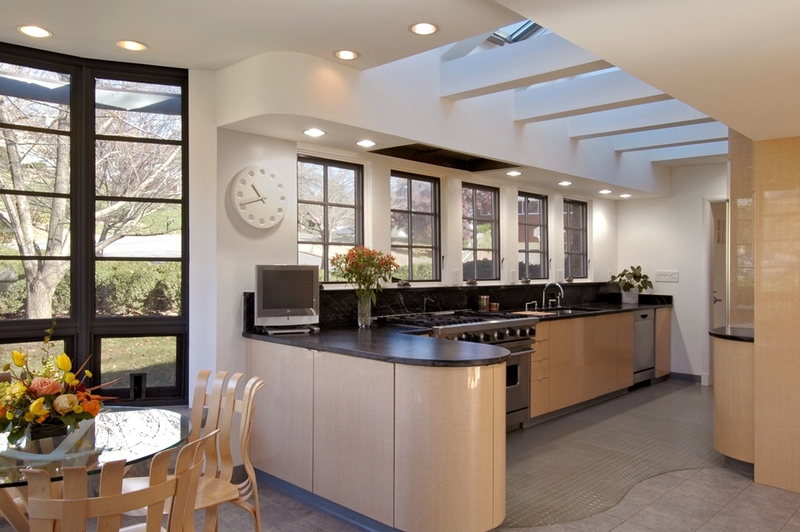 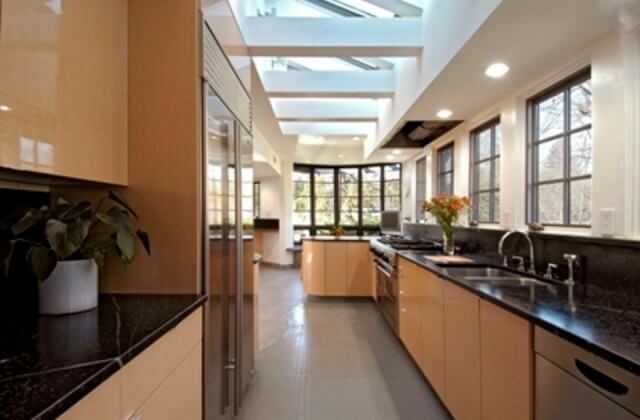 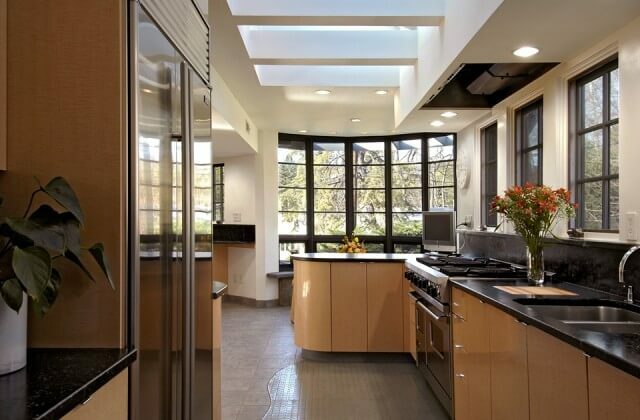 The kitchen incorporates a variety of colors and materials to create an appealing and comfortable feeling. 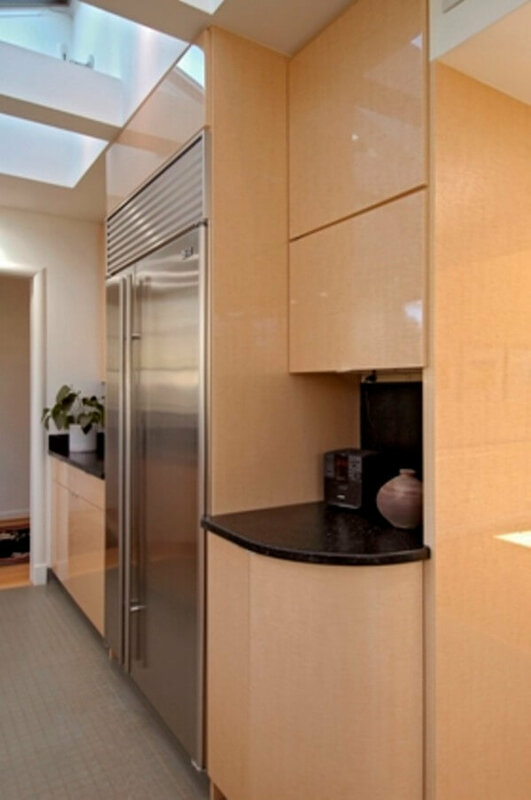 The ample amount of natural light reflects gracefully from the cabinet’s high gloss finish.